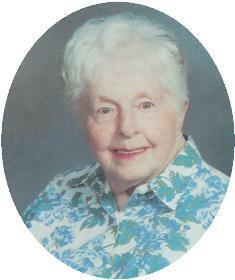 She was born April 4, 1921 to Lugwig J. and Johanna Kolbenbach Winnemuller in Richfield, Wisconsin. She married Frank J. Morauski of Port Washington in 1965 in Leroy, Wisconsin. He preceded her in death May 28, 1976. Marcie lived at 519 N Montgomery Street in Port Washington for many years. She had worked at Simplicity Manufacturing Company in Port Washington. Later worked as a secretary at Dunwiddie School in Port Washington and then in the Guidance Office of Port Washington High School for many years. She enjoyed her garden and home and will be remembered by the family for her beautiful knit Christmas Stockings and lovely sweaters. She is survived by her sister Caroline Renzel of Port Washington and dear friends JoAnn Stade of Port Washington and Rosemary Haskey of Fredonia. Further survived by sisters-in-law Bernice Winnemuller of Port Washington, Alyce Winnemuller of West Bend and Edna Sprtl of Milwaukee, many nieces and nephews, other relatives and friends. Preceded in death by her husband, sister Marie Merril and brothers Herman Winnemuller, John Winnemuller, Francis Winnemuller and Bert Winnemuller. The Rev. Patrick Wendt will celebrate Mass Of Christian Burial 6 pm Wednesday at St. Mary’s Catholic Church, 430 N Johnson Street, Port Washington. Interment parish cemetery. Visitation 4 to 6 pm Wednesday at the church with the St. Mary’s Christian Women praying the rosary at 4 pm. Memorials to the Alzheimers Association appreciated.